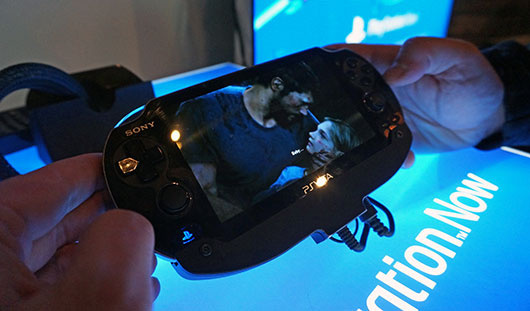 Early reports regarding the performance of PlayStation Now are surprisingly positive, but attendees at CES 2014 have pointed out that the technology does suffer from some compression issues. Such image artifacts are likely to prove problematic on an enormous high-definition display – but the PlayStation Vita’s smaller OLED panel makes them more or less moot. As these raw clips uploaded by IGN show, titles such as God of War: Ascension and The Last of Us look nothing short of staggering when running on the handheld courtesy of Sony’s new cloud streaming service. Are you warming up to the idea of yet another subscription fee? Upload your opinion in the comments section below. I dont mind another subscription fee as long as it will be worth it. If it has a library similar to the size of Netflix then sure if it's the size of Nintendo's VC then it will depend on the monthly price. I have a Bravia a PS3 and I'll be getting a PS4 and Vita as soon as my income taxes come in, so I'm all set to take full advantage of PlayStation Now. As long as the subscription fee is reasonable, I can see this being the first step in turning Sony's financial issues into a thing of the past. I was planning on getting a regular Bravia HDTV but I decided to step it up and get a Internet TV one so I can utilize PlayStation every chance I can. Probably no subscription for me. I'll rent the ps3 games I missed on a game by game basis. It's all about value. If the fee is reasonable and the service is supported better than the VC has been like @Tasuki mentioned, then I'm all in on this. If the library is limited I'm fine just sticking with my PS Plus subscription and taking advantage of the IGC and sales on newer releases. I can't wait to test this out! Also, the cloud TV service sounds amazing as well! The game play looks the biz. Is this going to kill off future vita exclusives when its rolled out?